Five hundred years earlier when the church is being built, two powerful families in Atwelle are contesting control of the region in the delicate backdrop of King Henry VIII’s dispute with the Pope over the King’s divorce. In the middle of these conflicts, the same bizarre murders are being committed in the town. 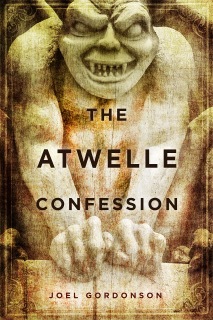 Two stories of identical macabre murders five hundred years apart — One surprising solution in the mystery of the gargoyles and the Atwelle Confession.